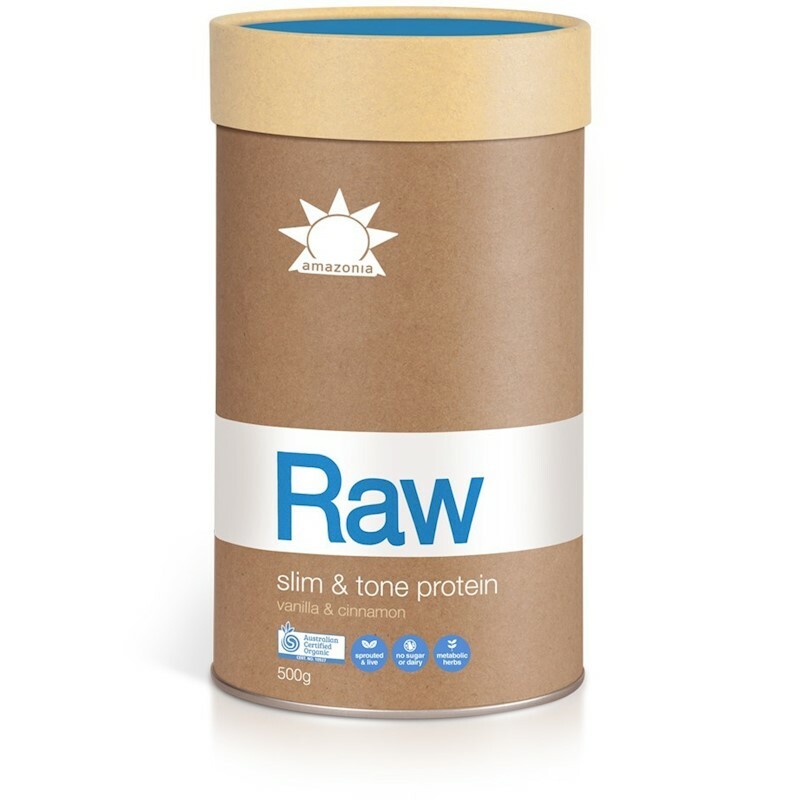 Amazonia Raw slim & tone protein is a comprehensive protein option designed to support natural, healthy slimming while helping to banish cravings and achieve real results you can feel. Specifically formulated to assist with healthy weight management by combining a sprouted and bio-fermented protein base with nourishing trace minerals, nutrient-dense herbs, thermogenic spices and alkalizing greens, Amazonia Raw slim & tone protein is designed to help keep you satisfied, address the root cause of cravings and assist in healthy, long-term weight management and toning, in combination with healthy eating and exercise. At MyDeal.com.au, it is our top priority to provide customers with a secure and enjoyable shopping experience. If there are any problems with your purchase, please do not hesitate to contact us and our friendly Customer Support Team will assist you promptly.